We sat down with one of our beloved coaches, Kathleen Woodhouse, to learn more about her deep experience with coaching – from both sides of the table! Kathleen has over two decades of global HR leadership experience with Fortune 500 executives in 15+ countries and is a recent contributor to Forbes. We discussed how coaching has changed her client’s life, her life, and where she thinks coaching is going in the future. 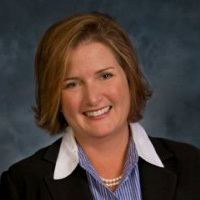 Check out Kathleen Woodhouse’s impressive credentials on her bio page. For the last 10-15 years in the corporate world, my role became more and more about helping leaders lead. My ability to work with leaders to build individual and organizational capability was impactful for them, and rewarding for me. Coaching seemed like the logical culmination of my work experience, education, and passion. This intersection is one that I often coach people to seek out in their own careers! I love to see the “lightbulb” go off for people as they get new insights. Sometimes, this is a small tweak in their one-on-one communication or interaction style. Sometimes, it is a more fundamental shift. One of the things that has been great about watching Michael facilitate the Unconscious Bias workshops is to see senior level, seasoned, successful executives have that “lightbulb moment”. In a recent workshop in Houston, a burly, quiet leader in the back of the room, who started the day with the skeptical, arms crossed, “I’m here because my company is making me be here” stance, had a complete transformation. Once he realized how his own unconscious biases impact his work and personal interactions, he became an active participant and, I would guess, an advocate for the work. It is helping people make that shift that makes our work as coaches rewarding, because the ripple effect of a great leader is tremendous. TELL US ABOUT YOUR PROUDEST MOMENT AS A COACH. There have been a number of proud moments, and they are each examples of those lightbulb moments turning into action. Our role as coaches is, of course, not to provide answers, but to help people access their innate wisdom. One proud moment in particular is when a client told me, “I could hear your voice in my head, urging me on,” as he took on a BIG stretch assignment. What made me even prouder is that he shared this with me months after we had wrapped up our formal coaching engagement. When people come back to me weeks, months, or years later to tell me the conversations we had, the questions I asked, or the enlightenment they gained as a result of our work still resonates, that is a proud moment! BEST COACHING FEEDBACK YOU’VE RECEIVED FROM AN EXECUTIVE. Get out of your own way. I remind myself of this, and share it with my clients as well. We all have stories and tapes in our heads – some are valid, some are not, and some are outdated and need to be replaced. I was working with a client and shared a challenge that I was anticipating – and he turned the tables to coach ME! He suggested I listen to my own counsel and get the heck out of my own way. I had the capability and the platform to be successful, I was letting my own outdated story get in the way. He was right. I had my own lightbulb moment, and the event was quite a success. WHERE DO YOU SEE COACHING GOING IN THE FUTURE? If I knew, then we would all be getting really rich! When I started my career, coaching was a last-ditch effort. It was often the last step before an executive was exited from the company. Then, companies went to developmental coaching for executives, to coaching high potential leaders, and now, it is an accepted developmental benefit for so many companies. One of the things I love about Brainard is our partnership with the internal HR leaders. This inside/outside collaboration really makes the coaching work, and I expect this to continue to develop and get stronger in the future. I would love to move to a place where coaching is the rule, not the exception, in executive development. I think we are not too far from that with more enlightened clients.